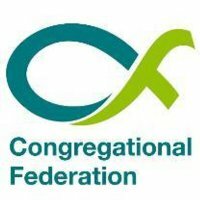 Most Congregational Churches belong to the Congregational Federation, however each church is an independent church and it is the congregation that decides on all issues relating to the operation of the church and is served by an ordained Minister or a Pastor appointed by the congregation. There are no hierarchies within the church and there are no elaborate rituals. Ashby Congregational Churches is liberal and inclusive and respects the rights of individuals to worship in their own way. Guided by the Holy Spirit each member strives to improve themselves on a daily basis to better serve God and the community, locally, nationally and globally. As a church community fellowship is very important to us. We are all equal and recognise each individual has their own particular talents to serve the Lord and the church. We enjoy the harmony and peace that fellowship brings to us through mutual aid and support which is fostered through our church services and numerous social functions. Through fellowship friendships are made and spirits are uplifted. makes a declraation of faith that they accept the Lord Jesus Christ as their Saviour. There is no obligation to be a church member and our services and activities are open to all faiths and those of no faith. Congregationalism is all about Christians working and worshiping together in independent congregations, making decisions, as God leads them, in matters of worship, witness and service to their communities.